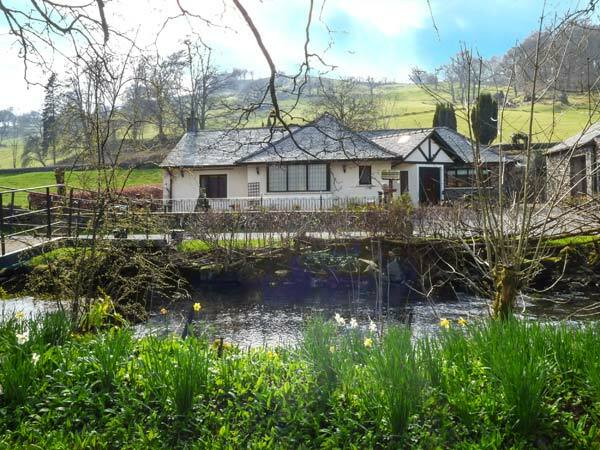 Riverside is a wonderful, ground floor, detached, cottage in Torver, near Coniston Water. The cottage has three super king-size double rooms, two of which have en-suite shower rooms and two of which have the ability to become two single beds if needed. There is also a family bathroom, a kitchen with a dining area and a sitting room with a dining area of its own and a gas fire. 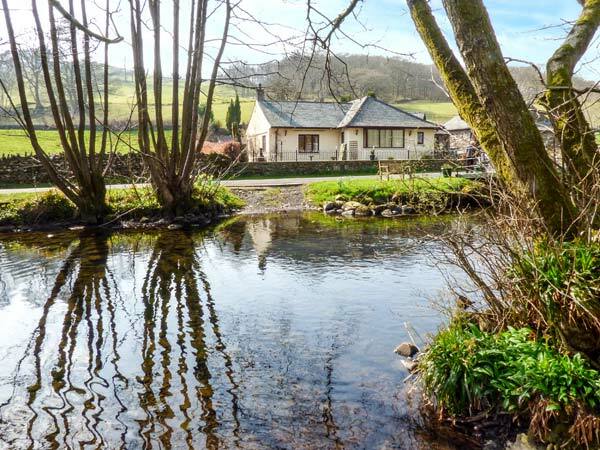 Outside, there is off road parking for three cars, several seating area where you can enjoy alfresco dining and the tranquility of this stunning location, as well as a private jetty, launch and pedestrian bridge across the river. Oil central heating with log burner. Electric oven and hob, AGA, 2 x fridge/freezers, washing machine, tumble dryer, dishwasher, 2 x TVs with Freeview, DVD, WiFi. Fuel and power inc. in rent. Bed linen and towels inc. in rent. Travel cot and highchair. Off road parking for 3 cars. Front patio with furniture, rear lawned area and patio with furniture. Private pedestrian bridge over the river, jetty, launch and summer house. Use of paddock over foot bridge. Two well-behaved dogs welcome. Sorry, no smoking. Shop 1 mile, pub 1.3 miles. Note: Unfenced river adjacent to cottage, care should be taken. We also have details of 16 other similar properties nearby which might suit you.